Any family history buffs on your Christmas list? 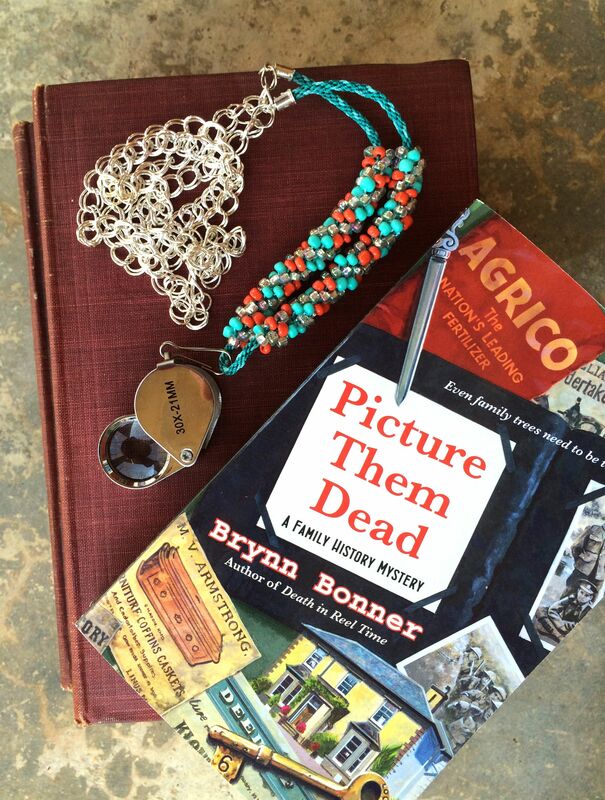 I’m giving away a book from my Family History Mystery series along with one of the most useful tools I’ve found in working with old photos and other artifacts, a 30x loupe magnifier. And since we need not give up style as we sort through dusty boxes, it is suspended on a handmade kumihimo beaded braid and chain from Nine Stories HIgh etsy.com/shop/ninestorieshigh To enter like this post (1 entry), comment on the post (2 entries) or best of all share (3 entries) by midnight Tuesday, December 15. I purposefully set out to use this sound because of something I experienced. One day as I was waiting for someone on a sidewalk bench (lost in my phone as some of us frequently are these days), I heard this particular sound and it instantly summoned up a whole bundle of memories and feelings. It was the sound of a Zippo lighter opening, striking and closing. It made me think of my father, but not just in a “brain” way but in a more immediate detailed and emotional remembrance. My Dad was (unfortunately) a smoker when I was a child and the sound of that lighter was something that assured me he was nearby. And it usually meant he was relaxed, as he didn’t generally smoke while he was working. So it’s a comforting sound to me. Holed up in my office on a bright sunny autumn afternoon with a (now) half empty bag of Halloween candy finishing up the fourth installment in my Family History Mystery Series, DEAD IN A FLASH, so I can get it to my editor before the bell tolls midnight tomorrow (and yes, I’ll be using every minute of that extra hour). This week I got a sneak peak at the cover. Tell me what you think. 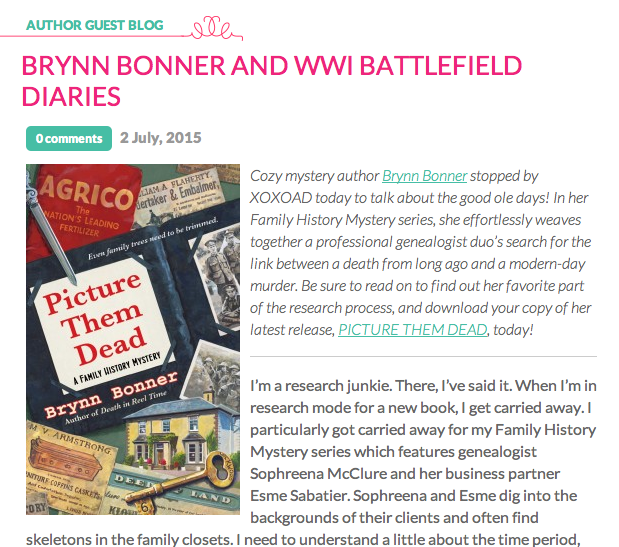 I have a guest post up over at XOXOAFTER DARK on research for my family history series. In this case it was old love letters from the war years. Let me know if you have special letters that you treasure from your own family history archives. 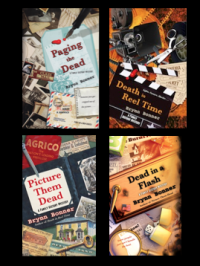 Today’s launch day for PICTURE THEM DEAD, the third in my Family History Mystery series featuring genealogist duo, Sophreena McClure and Esme Sabatier. 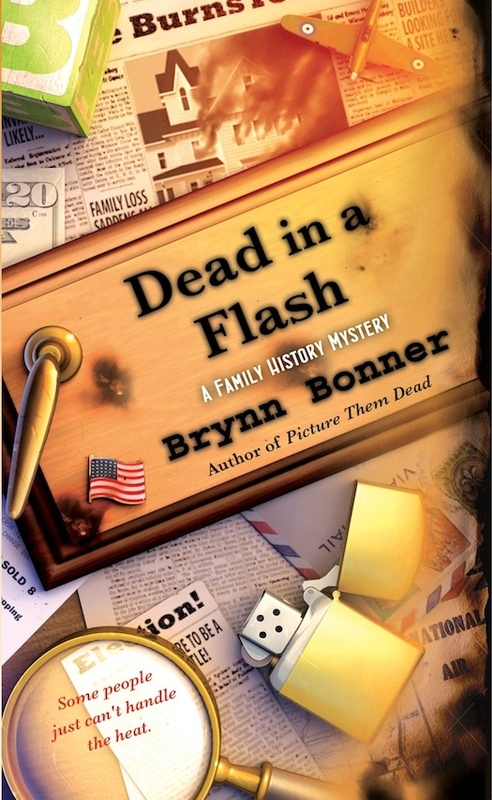 If you like family history or mysteries, I hope you’ll check it out. Right now there’s a giveaway to win this book over at Amazon. Please hop over to the above link and enter to win. I did a fun guest blog for Dru’s Book Musings that goes live today. It chronicles a day in the life of my genealogist protagonist, Sophreena. Plus, there’s a giveway for the 3rd book in my Family History Mystery Series which will be released on June 1. Go on over to Dru’s place and leave a comment to win. 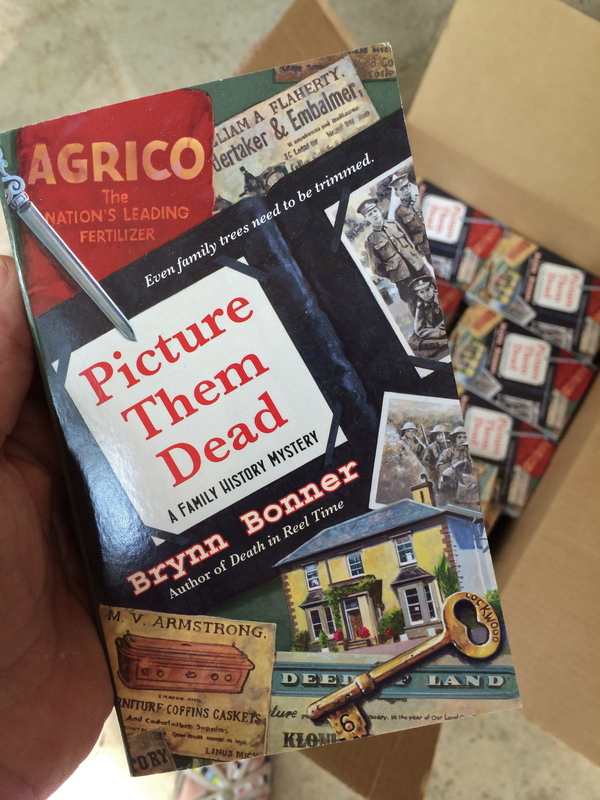 My nice UPS man has brought me copies of my new book, PICTURE THEM DEAD, the third installment in my Family History Mystery series. I’m excited that this one will be released in mass market paperback format and I hope that means it will get into the hands of more readers. It’s such a fun series to write and I’m hoping it will inspire some people to take up a search of their own family histories. 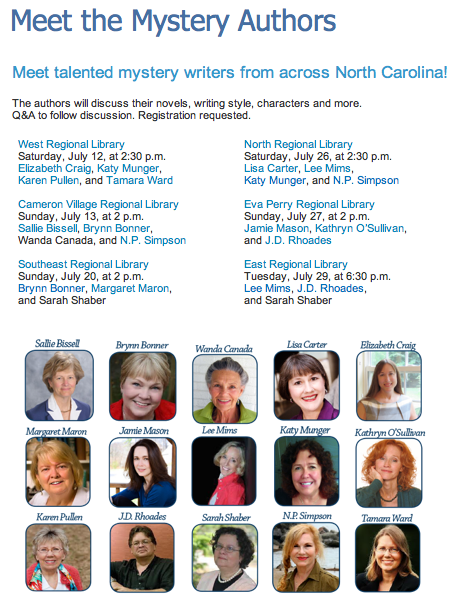 I’m participating in another afternoon for mystery readers with writing buddies Margaret Maron and Sarah Shaber at Southeast Regional Library this Sunday at 2 p.m. Y’all come out to see us. 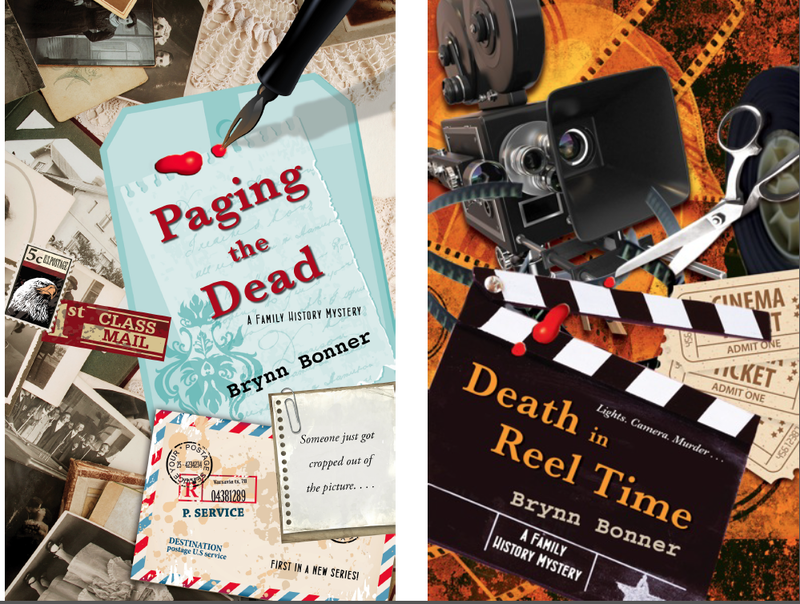 Death in Reel Time launches today! 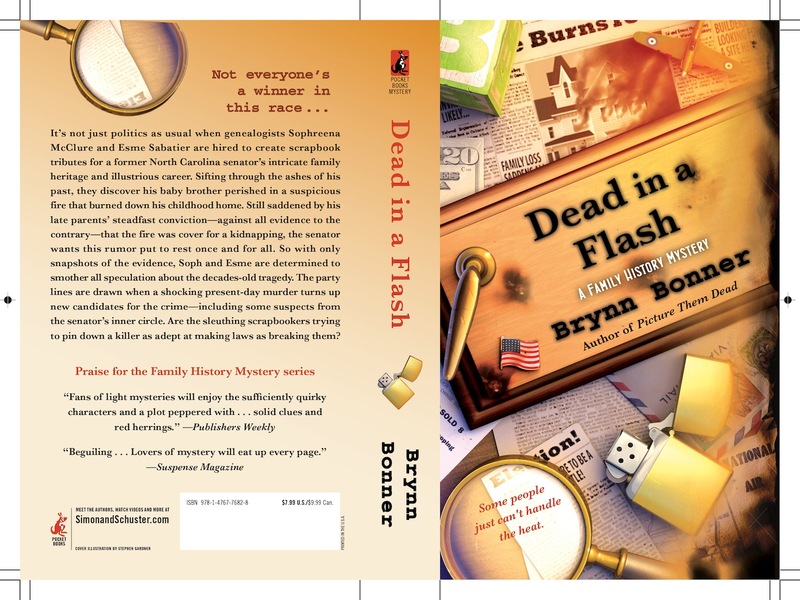 I’ll be at Quail Ridge Books & Music in Ridgewood Shopping Center, Raleigh on Thursday night, March 13 at 7:30 p.m. to talk about my new book in the Family History Mystery series, DEATH IN REEL TIME. Join me if you can! Had a great interview with Cathy over at her Kittling:Books blog. Thanks, Cathy.